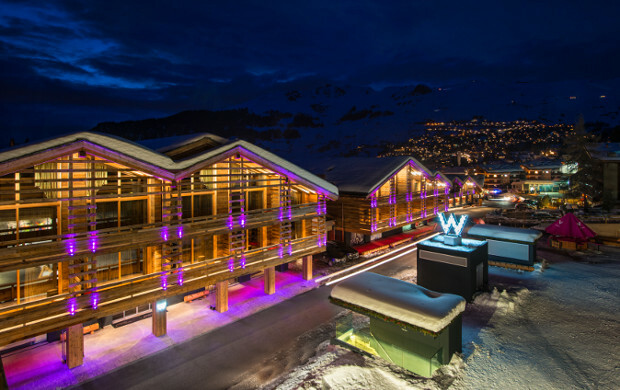 W Hotels are all about the young, rich and fabulous, and W Verbier—with its designer flair, photogenic art and perfect slope-slide location at 1,531 metres—is no exception. Open all year round and featuring a never-ending mix of activities, W Verbier occupies four Alpine chalets with 123 rooms and suites for its fun-loving, fashionable guests. They come not only for the scene and the slopes, but also for the Away Spa (stocked with La Prairie and featuring an indoor/outdoor pool) and the swanky hotel bars and restaurants, including the W Off Piste après-ski bar and the hotel’s signature Eat-Hola Tapas Bar, in collaboration with celebrated Spanish chef Sergi Arola—known for collecting Michelin stars, a stint on MasterChef, and his penchant for jamming out on the guitar in his Spanish rock band. At the W Verbier, the fun doesn’t end when the snow stops: there’s a killer year-round programme of not-to-be-missed activities at the hotel. I visited at the end of the peak season, in April, when they were hosting the third edition of their Haute Cuisine event. For four days the hotel was transformed into a gastronomic destination that any foodie would lose their head over (I certainly did). Haute Cuisine is a yearly event, with superstar chefs taking over the hotel’s kitchens every spring to craft creative gastronomic experiences for the guests, such as two daily interactive cooking classes, or five-course dinners centred around the themes of fashion, design, music, and W’s brand of wellness (see their “Detox. Retox. Repeat” programme). All of these themes are key elements of W’s never-boring, über-contemporary, “insider-access” ethos. Food doesn’t get much more fun—or cooler—than this. With this kind of playful mindset, the W Verbier has shaken up the Alpine ski scene and helped reinvent Verbier as a year-round destination you just have to visit—like, now. 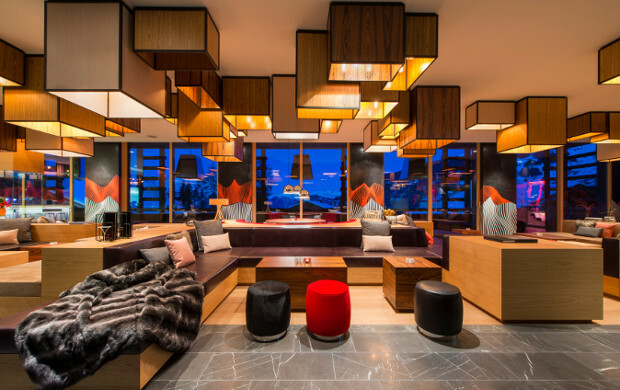 There’s no shortage of style or vibe at the W Verbier. The sleek, glass-filled space is lit in pinks and reds and has been designed to complement the scenery—not steal the show. Though there’s Alpine influence (read: lots of unvarnished wood and faux fur decorative pillows), there’s also minimalism. This isn’t to say the communal spaces and guestrooms aren’t luxurious: between the swanky electric fireplaces and private patios/balconies featuring sweeping mountainscapes, the rooms are designed to spoil. Each room has plenty of space and sunlight. The bathrooms, in particular, are massive, with deep soaking tubs and plenty of counter space, which any makeup addict like me always appreciates. In-room espresso machines are also always cherished, and I loved watching the looping procession of cable cars soaring overhead and throwing dramatic shadows through my windows. Food lovers must make it a priority to visit W Verbier during the Haute Cuisine event. This year, the event featured ten ultra-talented chefs with no less than 17 (!) Michelin stars between them! Chef and Culinary Director at W Verbier Sergi Arola led the troupe of chefs, which included Franck Giovannini, Michel Roth, Jacques Pourcel, Alain Caron, Thierry Drapeau, Patrick Jeffroy, Jean Baptiste Natali, Edgard Bovier, and Joël Césari. Every day brought something new, for instance the Design night, on which guests were served a five-course menu of geometric, structured (and sometimes deconstructed) dishes, alongside international wine pairings and a two-meter-high selfie booth that was being painted live by artist Christopher Lecoutre, with the help of the guests. The final graphic product will live on as a permanent art feature in the W Verbier. Other experiences included a Fashion dinner, at which each of the five courses looked (and of course, tasted) beautiful and were served alongside a live fashion show by Attitude Concept Store, spotlighting the Spring/Summer 2018 trends. Along with these one-off dinners, the Haute Cuisine program also includes a new interactive cooking class, during which the Michelin-starred chefs share their secrets. I attended Sergi Arola’s class, where he taught me (with the utmost patience and personality) and about nine others to cook mackerel ravioli in consommé with dried olives, along with a pineapple and coconut cream dessert served with curry ice cream. And yes, after class, you do get to eat what you cooked! Cookery classes and tastings during Haute Cuisine run around £110 per person, and the Haute Cuisine gourmet dinners start around £260 per person. Even if you don’t visit during the Haute Cuisine event, you’ll still have an amazing foodie experience at the W Verbier. The W Kitchen is open year-round and serves a generous breakfast buffet daily, which includes prosecco (my fave holiday breakfast treat). There’s also an egg menu you can order from at no additional charge—definitely try the local Benedicte Valaisan: toasted brioche, melted raclette cheese, sautéed chard, seasonal mushrooms, herb bacon and Hollandaise sauce. In most cases, breakfast is included in the room rate. The W Hotel brand is known for their stylish clientele, and though there were plenty of people who fitted that depiction, there were also a noticeable number of families. There’s a real mix of nationalities too, from Swiss, French and German to Scandinavian, British, and American. I was surprised by how many American accents I heard, which underscores the fact: Verbier is worth travelling for. Verbier is a world-class destination in any season. During winters, the hotel racks up accolades and awards for being so ski-friendly, modern, and luxurious (it’s ski-in/ski-out). Meanwhile, in the spring and summer the mood may shift but the chicness stays. W Off Piste—the W’s slope-side après bar—transforms into a laid-back beach. Also, open all year is the W Living Room, a day and night bar that features live music. The W Verbier also offers yoga classes (and in the winter ski instruction) with 2014 Freeride World Tour Champion, Emilien Badoux. There’s some amazing food to be had around town. Don’t miss the brand new Vie Montagne: part fine dining members’ club, part casual eatery and brewery, it’s open all year round, and they brew their own craft beer from the fresh mountain water. The cuisine—brought to you by a starred San Sebastian chef and his wife, the pastry chef—is fresh and seasonal, but steers away from the stereotypical Swiss mountain food, instead using local ingredients in new and surprising ways. I went for the tasting menu (~£70 for seven courses, if you count the amuse bouche) and each dish was better than the last. The sashimi-grade scallops and salmon were mouthwatering, as was the venison. Even the freshly baked sourdough was notable. 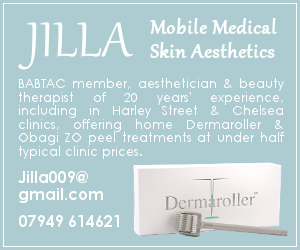 In short—make a booking! Ski season lasts until the end of April, with Mountain Air good for ski hire. For some après fun besides W Off Piste, check out the trendy Farinet (voted the Best Après-Ski Bar Worldwide by Which), or Fer à Cheval for pizza and craft beer. For snow-free activities check out the Verbier 3-D Sculpture Park at an altitude of 2,300 metres, or the Alpine Botanical Garden at 1,500 metres, featuring amazing panoramas of Lake Champex and the peaks of Les Combins. Unsurprisingly, there’s also amazing hiking: take the easy walk towards the Pierre des Songes or the more challenging hike to Lac des Vaux via the Col des Mines. As I was sitting at breakfast, eating my croissant and watching the light dance over the mountains, a shrill voice interrupted my peaceful morning contemplation. The voice berated the waitress about why her eggs were taking so long, why her coffee was cold, and why this kept happening. Am I saying that the worst thing was the leisurely pace at which breakfast is served? No. The worst thing was entitled guests who felt the need to treat the staff like that. The exclusive, insider access you get from the W’s experiences and events. Where else can you cook with a Michelin-starred chef or do yoga with a champion freerider? Doubles start around £230 per night. Haute Cuisine cookery classes and tastings are around £110 per person; Haute Cuisine gourmet dinners start around £260 per person.